Are you tired of rising energy bills in Virginia? Imagine what it would be like to generate your own energy. 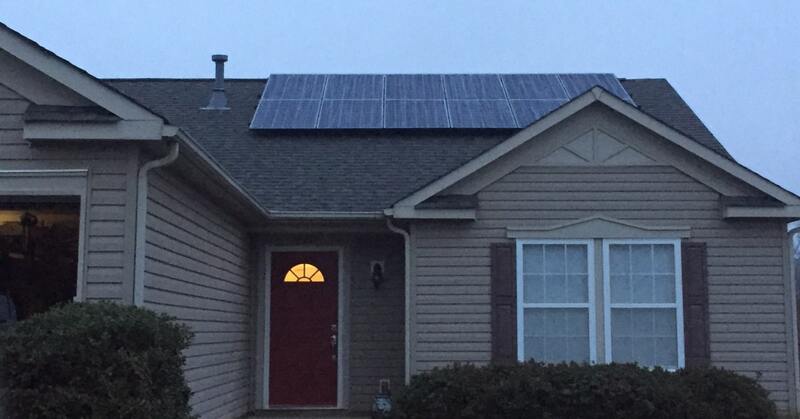 Now is the perfect time to start saving with solar energy in Virginia. Virginia continues to do its part in the solar power revolution as more people realize the big savings they can see on their energy bills. At POWERHOME Solar, we’ve made it our mission to increase the amount of solar-powered homes in Virginia. That way, Virginians can reduce their electricity bills now, and continue to save on future bills. As the leading Virginia residential solar panel company, our goal is to transform how homeowners in Virginia produce their energy. 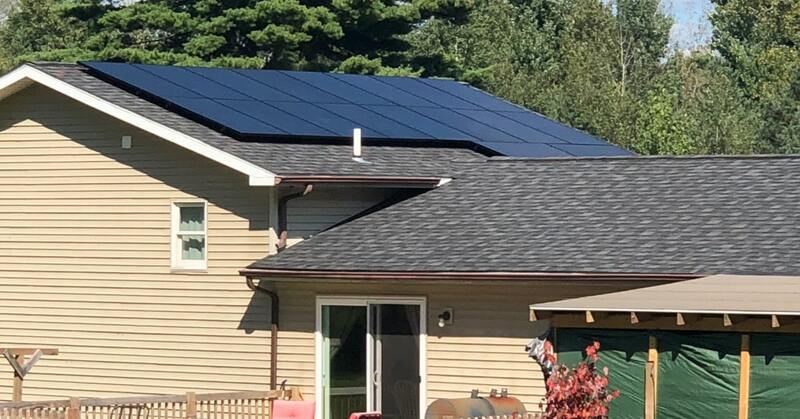 Virginia homeowners who make the change to solar energy can enjoy a 30% federal income tax credit (ITC) that lets them recover a portion of their investment. Because Virginia law allows municipalities to exempt solar power from being counted on your property taxes, you not only save on state taxes, your home is likely worth more than one without solar power. Virginia also offers a net metering program where you can feed excess energy generated by your solar panels and get credited on your bill for it. Any excess generation can be carried over from one year to the next. At POWERHOME Solar, we think Virginia homeowners shouldn’t have stress from out-of-control power bills. Our purpose is to help lower your bills and achieve independence from power companies. It’s good for the environment and good for your budget. Your clean electricity means you avoid the release of up to 4 tons of CO2 per year. That’s like planting nearly 100 trees a year. We make the process easy and affordable. Often, homeowners consider using solar but don’t switch because they believe installing Virginia solar panels is expensive. In actuality, the cost of solar panels for the average home has dropped more than 70% since 2010. And with POWERHOME Solar, you can take advantage of our 100%, $0 down financing plan. With no money down, you’ll start seeing a reduction on your electric bill with no out-of-pocket expense. Or, you can choose to purchase your solar panels outright. You can get the ball rolling with a simple phone call. During this initial phone consultation, one of our energy experts will verify if your home is a good fit for solar. Then, we’ll select a date to come to your home to gather more information. Our energy expert will perform an energy usage analysis and determine the best solar power system for your energy needs. You’ll get a solar panel installation proposal tailored to your family’s projected energy usage. Once you decide to go with solar energy, before you know it we’ll be setting a date for your installation that is convenient for you. Unlike some solar panel companies in Virginia, we’re a roofing company too. Our GAF-certified team is dependable, professional and current on the latest installation methods. From the charming Chesapeake Bay to the majestic Blue Ridge Mountains, Virginia receives four-plus hours of peak sunlight each day, which is enough to generate solar energy for the average home. And while peak sunlight hours are important, your solar panels collect and generate energy during off-peak hours and even on cloudy and snowy days too. The technology of solar panels in Virginia, and in general, is at peak efficiency. Panel design is sleek, practical and modern, made to blend seamlessly with your roof. These improvements in efficiency and design are part of the reason solar power in Virginia has become so affordable. When you consider the affordability of solar panels, the 30% federal income tax credit, and rising rates for electricity, it’s easy to see how solar power can reduce your bill. While electricity costs in Virginia are slightly lower than the national average, those rates aren’t likely to remain low. In fact, national rates for electricity have increased over 50% in the past 15 years. Solar power can become an essential energy resource for your home. Which means, the sooner you start using solar energy, the more rate hikes you can avoid and the more money you’ll save. With the reduced price of solar panel installation and the panels’ increase in efficiency, a solar panel system is your best protection against hikes in your energy bills. 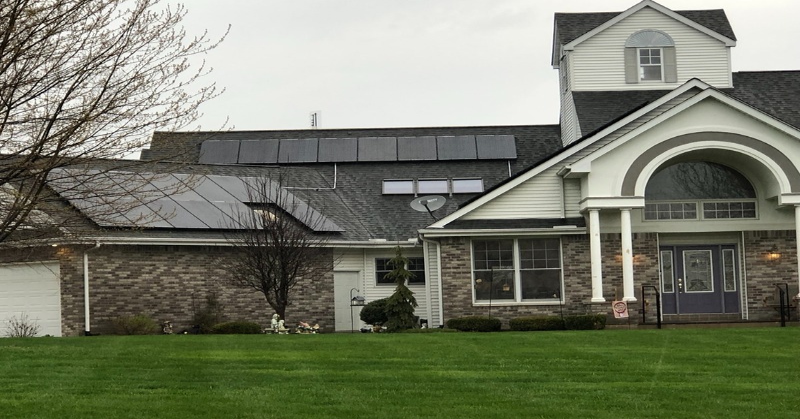 When you have a solar energy system installed by POWERHOME Solar, sudden changes in the energy market will have less of an effect on your bill. Solar energy is renewable, efficient and clean. Because of this, when you install solar panels to generate energy for your home, your energy bills remain lower for the life of your solar panel system. How Much Can I Save with Solar Power in Virginia? Saving money on electric bills is a main primary driver behind most people’s decision to switch to solar power. However, there are many factors that determine how much your solar energy system can reduce your bill. To find out how much you can expect to save if you switch to solar power in Virginia, contact one of our solar consultants today. Will Solar Panels Cause Damage to My Roof? When installed properly, solar panels will not damage your roof. They will turn your roof into an energy generator for your home. In addition to being a Virginia solar panel company, we are also a roofing company. Because we are experts in both, you can be sure that when we install your solar panels, they will be installed correctly with no damage to your roof. Will My Solar Panels Work in Winter? Although solar panels work best during peak sunlight hours, as long as sunlight reaches your solar panels, they generate power. No matter if it is cold, cloudy, snowy, or rainy. Also, when the weather is cold, your panels may work more efficiently, since they do not experience an energy loss due to heat. The snow often reflects light, which also improves the overall efficiency of your solar panels. If your solar energy system is covered with too much snow, however, this will temporarily affect its energy production. Call 804.681.2021 today and start saving money with solar.